There’s certain films I’ve watched that have made me want to live in certain places, most of which are probably not well-represented by said films. I should probably stop letting this happen before I become an adult and buy a house in Wales in the hope that doing so turns me into Jordana Bevan. But before I admit that this could be a problem, here’s a list of places I would consider relocating to and the films to blame for it. I’m still not sure whether Ferris Bueller’s Day Off was actually one long advertisement for Chicago tourist attractions or not, but nonetheless it made me want to live there. I am aware, however, that if I did live there, my life would not turn into a John Hughes film, and I’d be even more annoyed that Matthew Broderick had more fun in Chicago in a day than I will probably ever have. And then there’s Home Alone, which is basically about a boy having the time of his life in his house in Chicago. Apparently nobody runs out of things to do there. Although if you do actually live in Chicago and you’re life isn’t directed by John Hughes, I imagine you probably do. In the words of Oliver Tate, “Most people think of themselves as individuals, that there’s no one on the planet like them.” Amélie, however, is the exception to this. Despite how much I like to pretend I am special, as everybody else does, I am not like Amélie. Instead, I’m probably a lot more like An Education’s Jenny Mellor. An Education is a very important film for me, and I’m glad I discovered it at a time when I could (and still can) relate to Jenny. I especially understood her desire to move to Paris. My own desire has been increased greatly since watching Amélie and its depiction of the frantic Montmartre. And even if I decide that moving to Paris, ending up with no money and living in a country whose language I can’t speak is maybe not the best idea, I still plan on visiting Café des Deux Moulins at least once. These are my favourite two films that are set in Texas and both feature dry, sarcastic and ultimately bored characters and therefore they are both quite relatable. The whole point of The Good Girl is to portray whichever town it’s set in as mundane at the very least and show the effect this has on it’s characters, so what makes me want to live there? Zooey Deschanel’s Texas accent. That’s basically it. And then there’s Whip It, which might be one of my favourite films ever. It’s about a girl gang that includes Drew Barrymore, Kirsten Wiig AND Ellen Page, who competitively roller-skate in their spare time. Although admittedly, as someone who has only been roller-skating once and fell over three times in the process, I probably wouldn’t make it onto the team. In The Proposal, even New Yorker Margaret has to give into the beauty of Alaska. I can’t see her pulling an Into the Wild though, and I definitely can’t see myself doing either. But I fell in love with Alaska after watching Into the Wild, and the way the film portrays the search for an identity through isolation. The Proposal’s depiction of Alaska is much more comfortable and heartfelt, and the combination of the two is enough to make me move out there, if only for the landscape. Although ideally, I would rather stay in that lovely lodge-turned-mansion that Sandra Bullock gets to stay in as opposed to a sleeping bag in the middle of nowhere. 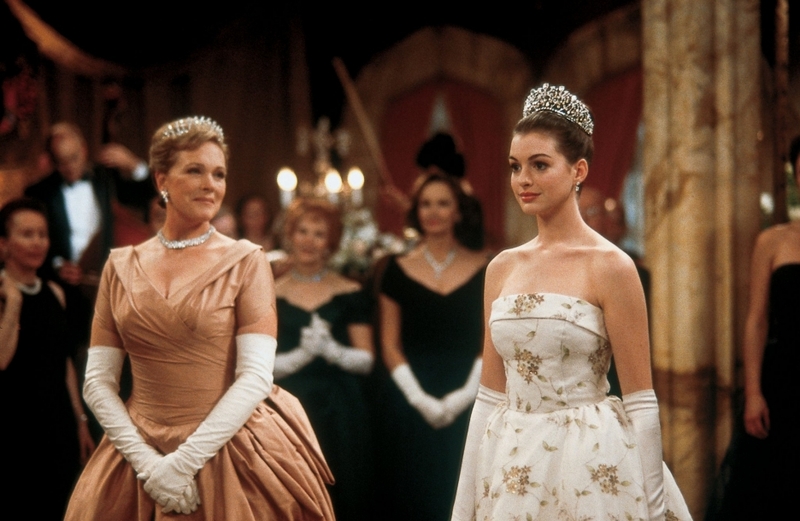 Next in line to Genovia’s throne is the world’s most down to Earth princess who has had to endure high school like the rest of us and spends quite a bit of time with her cat. Who wouldn’t want to live there? I already know, like, the first two lines of the National Anthem, so I’m already halfway there! Okay, I should probably stop now.